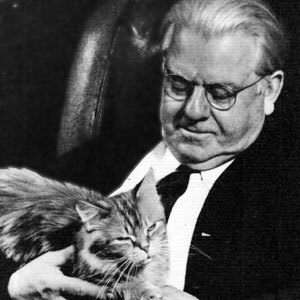 Frederic W. Goudy (1865–1947) the preeminent type designer who had created over 100 classic faces was the Art Director of Lanston Monotype Company from 1920-1947. 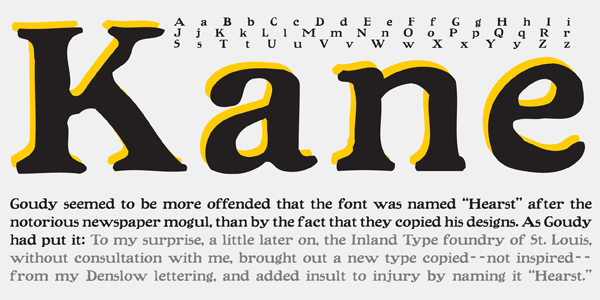 Thirty of his designs were created specifically for Lanston. 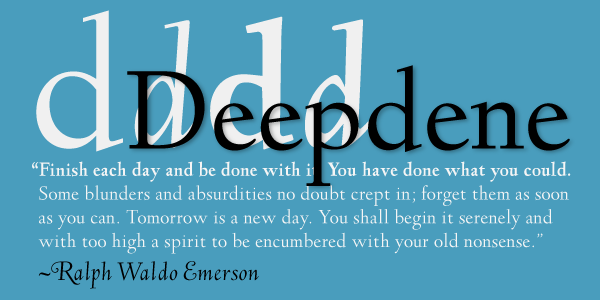 After teaching lettering and becoming known as an advertising designer in Chicago, Goudy built his reputation as a type designer. In 1895 he founded his printing shop, Booklet Press (later renamed Camelot Press). 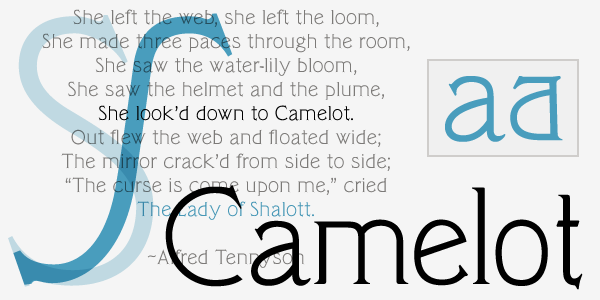 Goudy designed his first typeface, Camelot, in 1896. 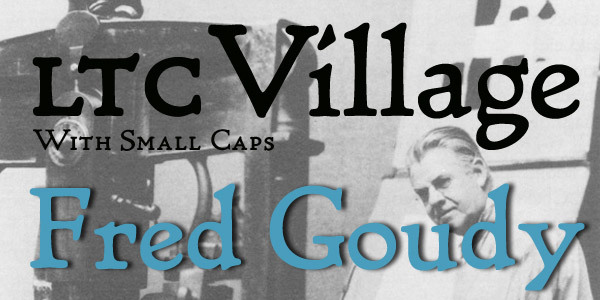 In 1903, Goudy and Will Ransom founded the Village Press in Park Ridge, Illinois. 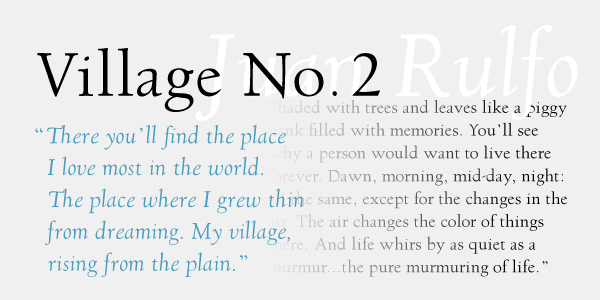 The typeface used for the Village Press, dubbed “Village” was originally created in 1903 for the Chicago clothing manufacturer, Kuppenheimer & Company. 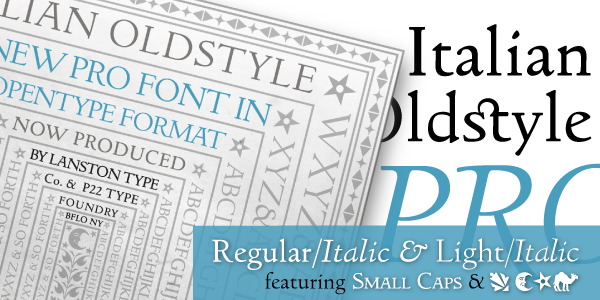 This venture was modeled on the Arts and Crafts movement ideals of William Morris, whose Golden Type many of Goudy's earliest designs echo. It was moved to Boston, and then New York. 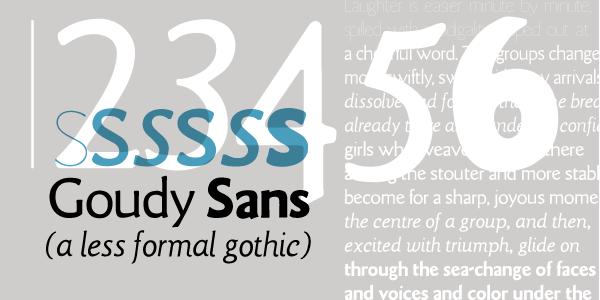 In 1908, he created his first significant typeface for the Lanston Monotype Machine Company: E-38, sometimes known as Goudy Light. However, in that same year the Village Press burned to the ground, destroying all of his equipment and designs. In 1911, Goudy produced his first "hit", Kennerley Old Style, for an H. G. Wells anthology published by Mitchell Kennerley. 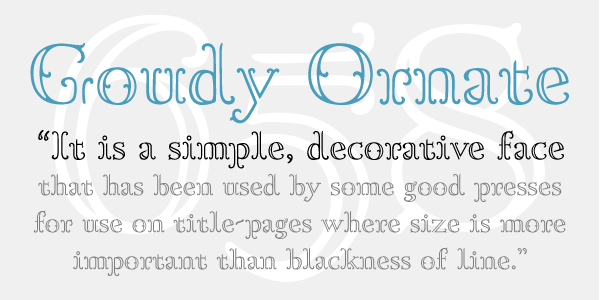 This success was followed by Goudy’s release of Forum Titling. Both Kennerley and Forum were cut for private use. 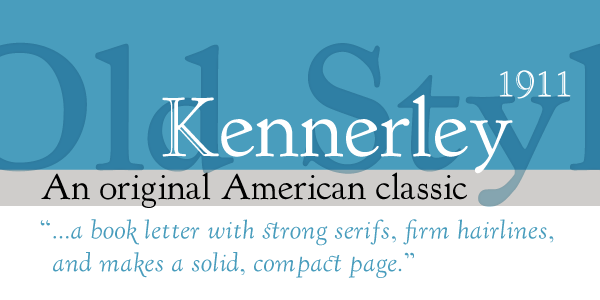 Although Goudy was one of the first type designers to become established without working for a foundry, the American Type Founders Company(ATF) became interested in Goudy after his release of Kennerley and Forum. 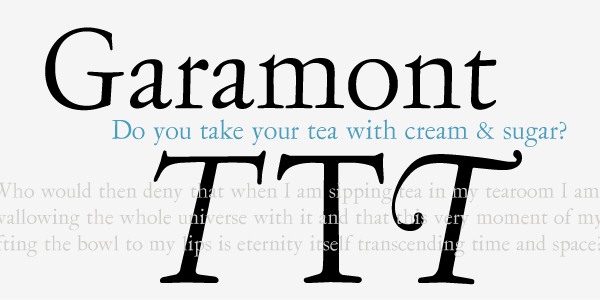 ATF commissioned Goudy to create a typeface. 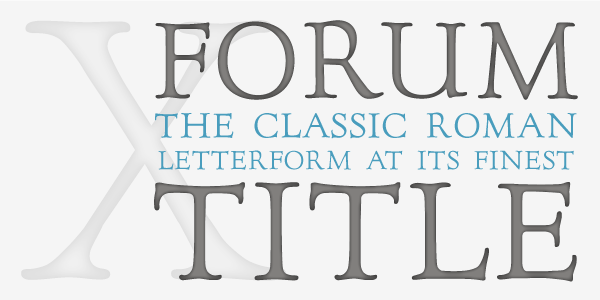 Goudy agreed “on the condition that his original drawings would not be subjected to interference by the founder’s drawing room”. 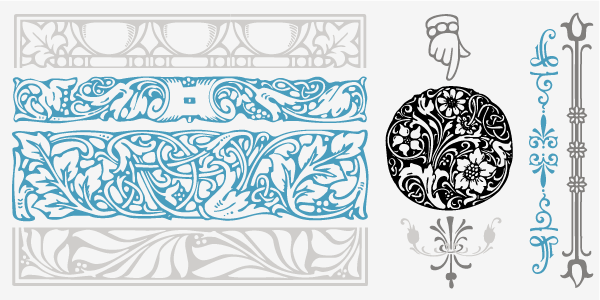 This commission would become Goudy Old Style. 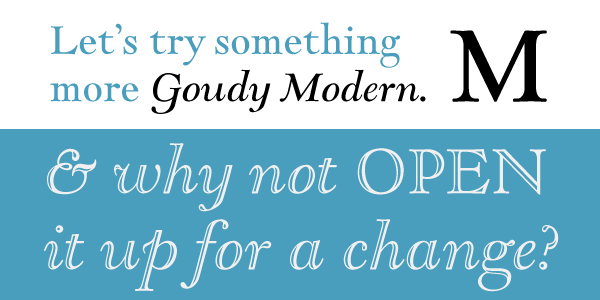 Goudy Old Style was released in 1915 and became an instant success. It was well suited for newspaper’s advertising sections because of its efficient use of space. 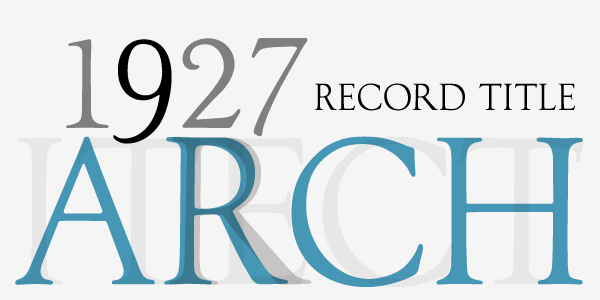 ATF continued to expand the Goudy ‘family’ to Goudy Title in 1917, Goudy Bold in 1920, Goudy Catalogue in 1921, Goudy Handtooled in 1922 and Goudy Extrabold in 1927. 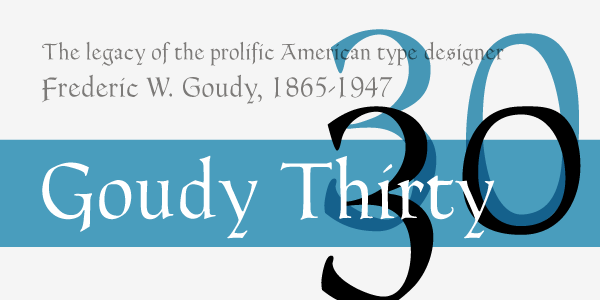 Goudy types were clearly very lucrative for ATF, but Goudy did not receive anything because he had sold his original design for $1,500 instead of entering into a royalty agreement. 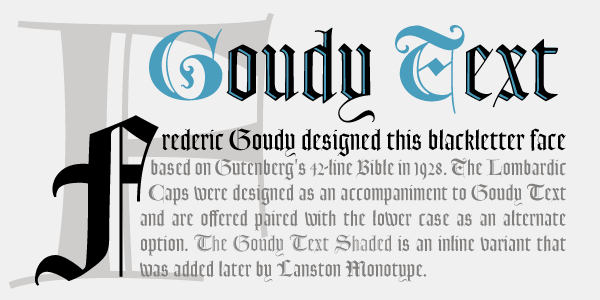 ATF’s refusal to give Goudy compensation for the success of the Goudy family lead to the deterioration of Goudy’s relationship with ATF. 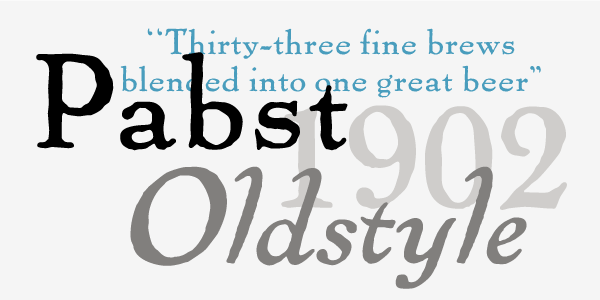 The only other typefaces Goudy designed for ATF was Goudytype, and series of initial letters, named Cloister Initials. 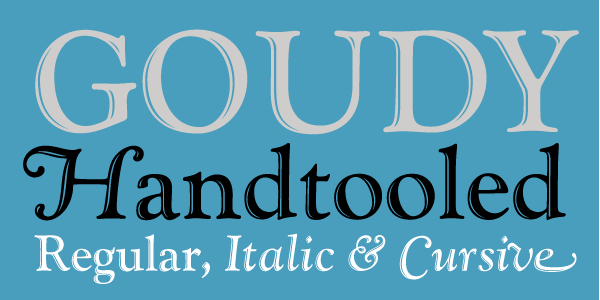 From 1920 to 1947, Goudy was art director for Lanston Monotype. 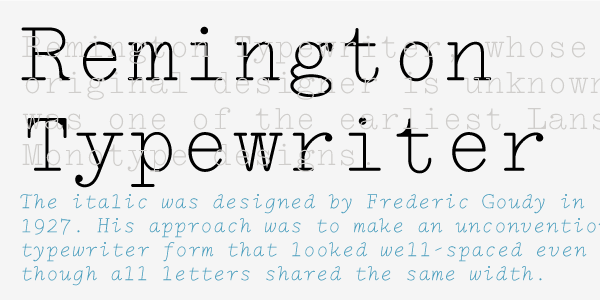 Although he continued to design for Monotype throughout this period, Goudy withdrew to his workshop in Marlborough, New York, which he dubbed the Village Letter Foundery. Goudy withdrew partly because he believed that the methods the Monotype firm used to transfer his designs to matrices compromised his work. 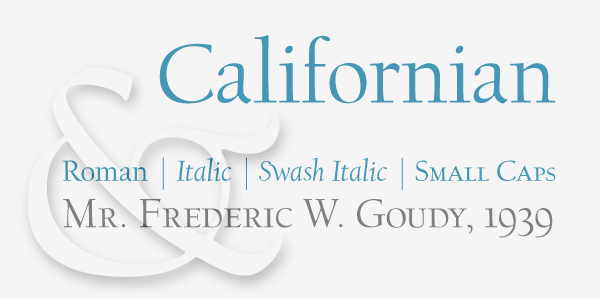 “All of Goudy’s types were drawn freehand, without the use of compass, straightedge or French curve.” It was at the Village Letter Foundery (his workshop) that Goudy created the majority of his prolific work. In 1939, the Village Letter Foundery was destroyed by fire and much of his work was lost. 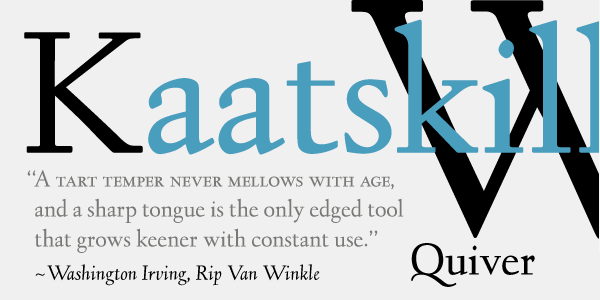 Two of his most successful designs created for Monotype, Deepened and Goudy Text, were not destroyed. 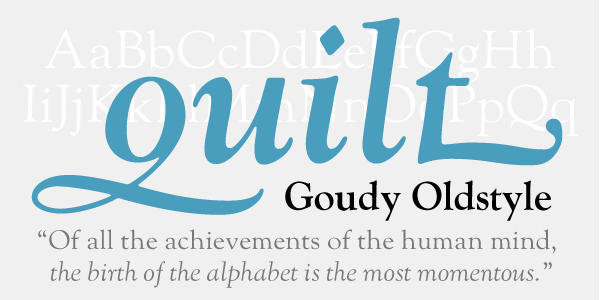 Beginning in 1927, Goudy was a vice-president of the Continental Type Founders Association, which distributed many of his faces. 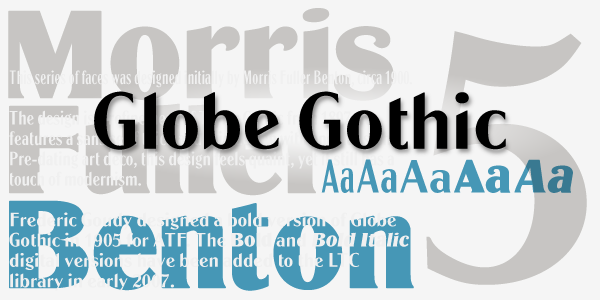 Goudy was widely known from 1915-1940 mainly because of the success of his typefaces, but also because he gave many lectures and speeches on “the great love he had for letter forms”. 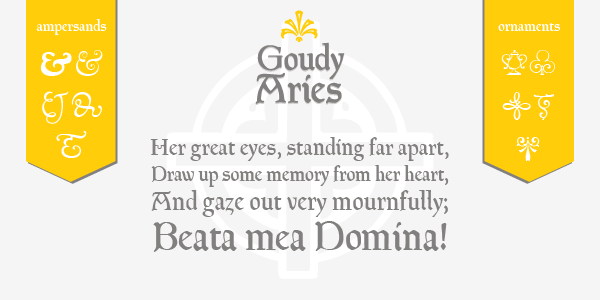 Goudy was known to rarely turn down a speaking engagement. 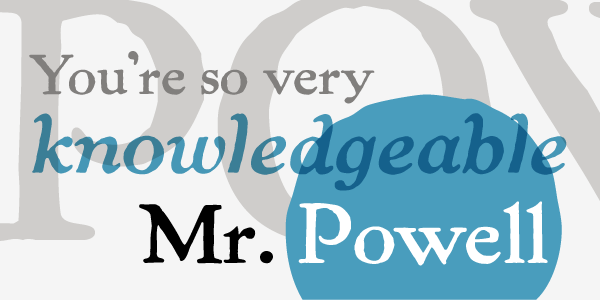 In 1940 he was appointed lecturer at Syracuse University's S. I. Newhouse School of Public Communications. An excerpt from a lecture he gave to the annual convention of the International Club of Printing House Craftsmen in New York in 1939 highlights Goudy’s practicality and love for letterform. “My craft is a simple one. 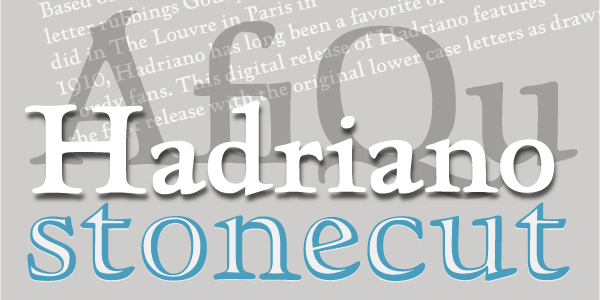 For nearly forty years I have endeavored constantly to create a greater and more general esteem for good printing and typography, to give printers and reader of print more legible and more beautiful types than were hitherto available.” By the end of his life, Goudy had designed 122 typefaces and published 59 literary works.